Chris turned professional with the London City Stompers and later joined Mike Daniels, Colin Kingwell’s Jazz Bandits and The Real Ale & Thunder Band. He has led the Chris Walker Swingtet for thirty years, which is still going strong. He is also a renowned radio broadcaster, and jazz lecturer on P&O, Cunard and Saga cruise ships. Tony is another brass band trained multi-instrumentalist with several years former experience with local West Country bands Equally at home playing double bass, Sousaphone or trombone, Tony is a valuable asset to any band. A very popular, well schooled, musician with an astounding technique and engaging personality. Based on the South Coast, Andy is one of the UK’s best known trumpeters and educators having spent 9 years cruising with NCL, P&O and Cunard. He is also the jazz soloist for top big bands such as The String of Pearls, John Miller, The Palm court and the Tuxedo jazz orchestras. John was a founder member banjo player of the Coventry based Dud Clews Jazz Orchestra and played and recorded with the band, on and off, over the years. He has played regularly with George Huxley’s Jazzmen since 1995 in both in the full band and in George’s smaller groups. He was co-organizer of the intriguing Royal Ascot Jazz Band for 25 years until 2 years ago. He also organised the Midlands based band Jazz Salon Rouge from the late 1970’s until he recently moved down to Devon. Ken Ames is a renowned double bass player and he has worked, over the years, with Ken Colyer, Bob Wallis and Monty Sunshine (to name but a few!) Originally this band’s banjo player, Ken has re-joined the band on bass to allow Tony to take the trombone chair as Roger Marks replacement. A very popular brass band trained musician with an economic style and engaging personality. He was a founder member of Roger Marks’ Cornish Armada Jazzband and has played with other local bands for a number of years. Colin has been a professional BBC/ITV session drummer for the past 40 years. Colin’s CV includes tours and performances with Ron Goodwin, Matt Monroe, and the Liverpool Philharmonic in addition to Barbara Jay, Tommy Whittle, Don Rendell, Roy Williams, Don Weller and Peter King. His career highlight was being invited to permanently join a New Orleans band whilst visiting that city! The “SALUTE TO TRAD JAZZ 2016” show is the brainchild of two musician friends – Chris Walker and Roger Marks – who share a fondness for the style of jazz popularized by the likes of Chris Barber, Acker Bilk and Kenny Ball in the late 1950’s and early 60’s, a period that became known as the “Trad Boom”. Many of the record releases that made it into the hit parade at that time are seldom to be heard in the jazz clubs of today, perhaps because the likes of Midnight in Moscow, Green Leaves of Summer, Chimes Blues and the William Tell Overture require a certain amount of careful rehearsal to do them justice. They are, however, included in the “Salute to Trad Jazz” show. After three highly successful years of co-leading the band with Chris, Roger has retired from both the touring scene and the band, albeit on the best of terms, so that the show is now updated and presented entirely by Chris Walker, professionally as always, with some informative commentary, anecdotes and, of course, humour. Almost every appearance in the band’s 2013/14/15 tours were immediately rebooked for return visits. 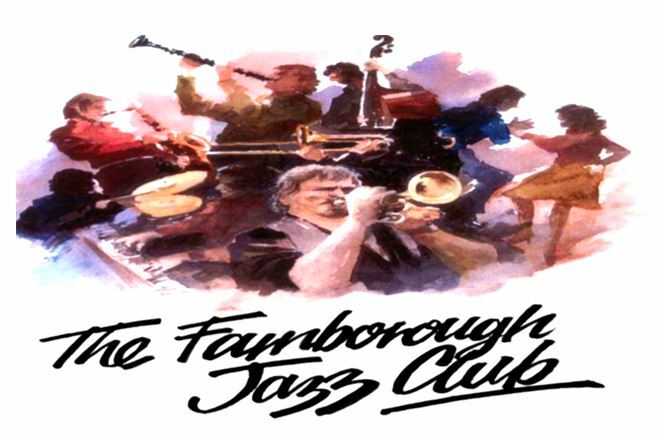 The band is described by Jazz Breaks jazz holidays as “the sensational Pedigree Jazz Band”. This venture has been greatly helped by sponsorship from Marston’s Brewery. Early in 2012 Roger Marks had the good fortune to play for Chris Walker’s Swingtet on a couple of cruises when they had numerous opportunities to talk about their music and their particular influences and alignments. It turned out that the ‘trad boom’ had, long ago, claimed a couple of conscripts. Had there been no such rebirth of traditional jazz I think its fair to say that both may have sailed through life unaware, or at least uninterested in the world of jazz in the much the same way as 99.9% of modern teenagers are equally unaware and uninterested in the world of jazz. It became clear that, amongst other things, they share the same fondness for those early days and that over the years we have played, like many other of our contemporaries, the tunes popularised by Chris Barber and Acker Bilk at that time – such as Bourbon Street Parade, Chimes Blues, White Cliffs of Dover, Marching Through Georgia etc, etc. – the tunes which are pretty much standard fare for a working band to this day. To cut a long story short, they came up with the idea of a stage show entitled “Tribute to Trad Jazz” showcasing flagship tunes of the period popularized by Chris, Acker and Kenny with a bit of Dutch Swing College, Humph (who we know would probably not have approved) and Papa Bue thrown in for good measure. An all star line up of musicians, including three prominent and popular band leaders playing a programme consisting entirely of those tunes most readily identified with the so-called “trad boom”. Chris and Roger will embellish their presentation with supporting facts and anecdotes of those times. Roger is a vastly experienced melodic stylist whose playing has been described on air by the late Humphrey Lyttelton as being world class. He is a former Rod Mason sidesman and longtime leader of his Armada Jazz Band and his Cornish Armada Jazz Band. A very popular brass band trained musician with an economic style and engaging personality. Founder member of Roger Marks’ Cornish Armada and has played with the Dart Valley Stompers for a number of years. Andy Dickens plays a wide ranging style incorporating such influences as Louis Armstrong, Roy Eldridge, Billy Butterfield and many more, but his love of jazz was fostered in the sounds of New Orleans. He is still top man in any New Orleans street parade. He has a vocal style which is entirely his own. He always presents the band with great charisma and an infectious sense of humour. Ken spent his early years as the bass player with Ken Colyer’s Jazzmen, switching to banjo to continue his distinguished career with Roy Pellet, then Bob Wallis and His Storeyville Jazzmen, George Webb and Monty Sunshine. Tony is another brass band trained multi-instrumentalist with several years former experience with Jeremy Hugget’s Band of Gold, The Dart Valley Stompers and since then as a valued member of Roger Marks’ Cornish Armada jazzband.